1) Food additives — Food additives contain a group of compounds commonly referred to as “exotoxins,” which slow and destroy cognitive development in the brain. “Exotoxins” are not just present in a few foods; they are present in virtually ALL processed foods. To avoid future health problems and keep a healthy brain, your best bet is to eat healthy, non-processed foods. 2) Exposure to pesticides — It is always important to take the necessary precautions when working with pesticides or being in an area around pesticides. Pesticides kill brain cells quickly and cause abnormal mental and physical development. If you are in an environment where pesticide exposure is common, get out, save yourself, or report the company and people using the pesticides to proper authorities. Pesticides are linked to Parkinson’s disease and many other forms of mental illness! 3) Too much stress — A little bit of stress is healthy for everyone. It keeps you motivated and motivated to achieve goals. When stress gets out of hand to the point where you’re having adrenaline rushes, your body produces an excess of the chemical “cortisol.” Too much of that cortisol is what kills brain cells. Please don’t stress after reading this. 4) Brainwave Entrainment — Brainwave entrainment is a safe, innovative way to stimulate and shape the brain and it’s functioning. You can literally build up more control over your life and harness your brain’s potential! 5) Avoid Junk Food – Junk food has been proven to decrease energy in the body and promotes “brain fog.” Cut some junk food from your diet, and reap the benefits of a more calm, focused brain chemistry. 6) Deep Breathing — Deep breathing actually increases oxygen levels and blood-flow to the brain. 10-15 minutes of daily deep breathing can make a huge difference in the quality of your life and brain’s functioning potential. 7) Learn A New Language — Learning adds more structure to the brain and improves the brain’s speech centers. Hablas espanol? It may be time for you to take a class or program to supplement your job-skills and brain power!8 Take Fish Oil — Fish oil supplements are literally like membrane material for the brain. 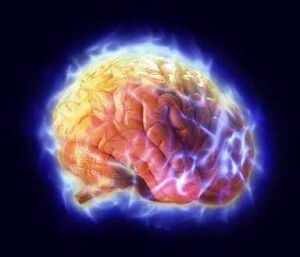 The 2 primary components of EPA and DHA each act to strengthen both the emotional center of the brain and boost focus. There is an increase in overall brain activity after taking fish oil for awhile. 9) Laugh It Up — Laughter causes a natural release of the brain’s endorphins — chemicals that drown out pain and increase overall well being. Laughter is a well known, natural stress reducer. Watch a comedy, crack a joke, and increase those endorphin levels! 10) Using methamphetamines – Taking methamphetamines is probably the most uneducated decision you could possibly make. Not only are they one of the most addicting groups of drugs, they destroy lives and kill brain cells. The sad part is, methamphetamine use results in severe to permanent brain damage even long after the drug has been stopped. In my opinion, methamphetamines are the most dangerous group of drugs to get involved with. Stay away from them, get help now if you use them, and help a friend if you know they are a user. 11) Getting a contusion – A contusion is a severe bruise within the brain. It does cause neuronal death (brain cell death). Unfortunately, most people that have contusions couldn’t really do much to avoid them. Sports like boxing where taking jabs to the head is common, influences the development of contusions. Safety precautions: wear a helmet or hardhat when debris or other objects have potential to damage your head. The great-est Mohammed Ali suffered brain contusions from his heavy involvement in boxing. 12) Having a stroke – A stroke results from temporary loss of blood-flow to the brain. Usually, the damage from having a stroke is centralized in just one side of the brain. Strokes can cause anything from small lesions, to widespread cell death. Unfortunately strokes cannot be avoided, but there are things that you can do to reduce your risk: lowering stress levels and staying active are just a couple healthy activities that reduce risk of a stroke. An interesting fact: millions of brain cells die each minute a stroke is left untreated.13) Avoiding exercise — The act of avoiding exercise doesn’t kill brain cells, however, the effects that are associated with lack of exercise happen to be killers. Exercise reduces stress levels, chance of brain damage, and even creates new brain cells. If you are avoiding exercise, you happen to be setting your brain cells up for an early death. Make time in your schedule to exercise and reap the benefits; exercise should never be avoided. 14) Sensory deprivation – We know from my “hearing voices” article that sensory deprivation may cause you to have auditory hallucinations. When your brain undergoes sensory deprivation for longer periods of time, you lose brain cells. When cells are not stimulated for long periods of time, your brain reorganizes itself; you naturally lose the unused, understimulated cells. 15) Taking absinthe — Most types of absinthe contain extremely high amounts of ethanol and a chemical called thujone; both of which can cause brain cell death. Thujone has the opposite effects of barbiturates like Xanax and in high doses can cause seizures and possibly death. It is definitely best to avoid absinthe and not put your brain at risk of damage. 16) Drinking too much water — The act of drinking too much water in too short of time period will actually flood your nervous system and kill off brain cells. How exactly does this work? When the ratio of water to sodium escalates, your brain swells and brain cells die in the process. Individuals on low-sodium diets may be especially vulnerable to “water toxicity.” It is important to stay hydrated, but be reasonable; you know what’s right for your body. Don’t go overboard and kill off your brain cells!17) Being a chronic negative thinker — The act of simply thinking negative will not cause any sort of brain cell loss. Most people have negative thoughts that creep in their consciousness from time to time. It is when the negative thinking takes over, gets “out of line” and causes stress, and you to make unwise decisions such as taking drugs like Ecstasy to improve your mood at the club when you are probably losing brain cells. The side-effects and byproducts from negative thoughts are what make you more likely to engage in activities that kill brain cells. Negative thinking is an indirect killer; surround yourself with positivity and a healthy circle of friends! 18) Post traumatic stress disorder – Victims of post-traumatic stress disorder unfortunately deal with memory problems, anxiety, flashbacks, and happen to lose brain cells in the process. Post traumatic stress disorder causes the brain to produce a surplus of the stress hormone “cortisol,” which kills brain cells. Like other stress related disorders, they don’t lose a huge amount of brain cells overnight, but they definitely can lose a significant amount if they don’t get adequate assistance and treatment. 19) Head trauma – The scary thing about head trauma is that it not only kills brain cells, it also damages the brain’s ability to repair itself after the damage. Head trauma is linked to Parkinson’s disease and poor sensorimotor processing within the brain — always try to protect your head whenever engaging in a contact sport, working construction, riding a motorcycle, etc. 20) Elevated testosterone levels — Having too high of testosterone levels has been proven to be detrimental to your brain’s health and does kill brain cells. If you are taking supplements that increase testosterone levels, be aware that too much of the supplement could potentially cause the death of your brain cells! 21) Chemotherapy — Unfortunately for those who have undergone chemotherapy, the process not only kills the cancerous cells, but many of your good brain cells. In order to avoid cancer, take steps to reduce your risk of developing cancer such as: eating healthy, exercising, getting proper sleep, etc. Not everyone is able to avoid cancer, but you can certainly make an effort to try. 22) A single stressful event — Yes, you read correct — just ONE stressful event has the potential to kill off brain cells. If you live in a high-stress environment, are always on the go, and never take time to just chill, your mind is most likely overactive and you are losing brain cells. If you know that you will be exposed to stressful events, I recommend learning stress coping methods like meditation, deep breathing, guided imagery, yoga, etc. There are many things you can do to lower your stress response to hectic events. 23) Smoking cigarettes — The act of smoking cigarettes is not only detrimental to your physical health — it could be taking a heavy toll on your mental health. The fact is, scientists have found that “smoking” kills brain cells and stops the production of new brain cells (neurogenesis). If you are a smoker, work hard to kick the habit. If you are smoke-free, stay that way and encourage smokers to quit. 24) Taking steroids — Taking steroids is terrible for your brain and body. Steroids elevate testosterone levels and increase stress levels: 2 activities [mentioned earlier] that are known to deplete brain cell. Steroids cause early death, an increased suicide risk, and give the user absolutely ZERO fulfillment in the long-term. Take the time to lift the necessary weights and don’t expect to get “ripped” overnight; you will be better off in the grand scheme of life. 25) Extreme anxiety and panic — Anxiety and panic in extreme situations will definitely provoke feelings of stress, release cortisol, and will kill your brain cells in severe forms. Light and moderate forms of anxiety and panic may feel uncomfortable, but will probably not damage your brain. 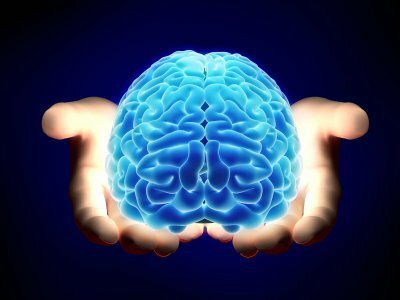 Learning valuable coping techniques by visiting a psychotherapist, using relaxation techniques consistently, and considering medication are all things that will stop you from losing brain cells from anxiety and panic. 26) Sniffing paint — Yes, sniffing paint will give you a “high” for a while, but it can really inflict severe brain damage. Avoid inhalants like paint and keep your brain cells healthy. Even worse than just killing your brain cells is the fact that sniffing paint has the potential to kill you — even on your first time. Stay away from this stuff and get help now if you are addicted. 27) Oxycodone abuse — Oxycodone abuse kills brain cells, heart tissue, damages kidneys, and has terrible side-effects. If you or someone you know abuses Oxycodone, seek help immediately! Your brain and body will thank you in the long run — Oxycodone is nothing to fool around with. 28) Taking cocaine – Thank you captain obvious, right? It’s possible that not everyone out there knew that cocaine killed brain cells. Cocaine doesn’t just kill random brain cells either, it wipes out the brain cells in your brain’s pleasure center — brain cells that make you feel good and are triggered with positive emotion and pleasure. Want to keep having fun in life and feel pleasure? Stay away from cocaine. 29) Exposure to lead — It is known that the early exposure of lead may lead to later brain aging in life. What about brain cell loss from lead exposure? Scientific evidence shows that exposure to lead leads to brain cell loss and damage years later. Scientists figure that a single exposure is equivalent to at least 5 years of brain aging. Avoid lead exposure at all possible costs and do what you’ve got to do to keep your brain healthy! 30) Mercury toxicity — Chances are good that you probably know that avoiding exposure to mercury is recommended. When a person is exposed to mercury, they can develop what’s known as “mercury toxicity” in the brain. Mercury toxicity is a known brain cell killer. I find it interesting that many old, tooth-fillings could be releasing mercury into your body and you could be a victim of mercury poisoning. 31) Carbon monoxide poisoning — Yes carbon monoxide itself can kill brain cells, but the reason brain cells die in carbon monoxide poisoning is mostly due to the fact that inadequate amounts of oxygen get to the brain. To avoid carbon monoxide poisoning, take necessary household precautions such as installing a detector and check for burning. 32) Getting Lyme disease — Severe forms of Lyme disease cause memory impairments and brain cell loss if left untreated for a long period of time. Lyme disease is usually carried by deer ticks, but can be found in other types of ticks. To avoid Lyme disease, it is recommended to always check your body after long expeditions through the woods. 33) Getting a concussion – Unfortunately most people don’t have much control over getting concussions. The fact is, concussions are neuronal killers and should be avoided if at all possible. There are special precautions to take to avoid concussions such as: wearing a helmet in contact sports, wearing a helmet when riding your motorcycle, even wearing a helmet when riding your bike. 34) Certain types of cosmetics – Certain types of cosmetics have been proven to have an adverse interaction with mental health. Some forms of shampoo have ingredients that have been shown to kill brain cells. Be aware that certain types of cosmetics have ingredients that will kill or damage your brain cells. 35) Using cleaning solvents — Taking a good whiff of a solvent can really knock you out! If “sniffed” with the purpose to get high, solvents can cause severe brain damage and possibly death. They can cause severe learning impairments, declined social functioning, and reduce the capacity of your short-term memory. Most cleaning solvents, when used properly for their intended purpose (to clean), will not cause any harm. If you know someone that is abusing solvents, get them help! You are not only helping their brain, you are helping their life! 36) Ingesting aspartame — In case you didn’t know, aspartame is an artificial sweetener found in gum, candy, and Nutra-Sweet. Several studies made connections that link aspartame to brain cell destruction. It is a very controversial substance that has been proven to be bad for health in some studies, and has been proven safe in others. Either way, I’d avoid aspartame; it’s nothing to risk your brain cells over. 37) Indoor air pollution — Indoor air pollution affects the spinal cord, kidneys, blood cells, central nervous system, and the brain. Depending on the type of indoor air pollution, effects can range from being unnoticeable to causing brain cell loss. It is important to keep the air inside of your home and business clean and safe to breathe. Don’t underestimate the potential of indoor air pollution to be detrimental to the health of your body and mind! 38) Lack of quality sleep — We all know that when we don’t get enough sleep, we cannot properly function the next day! Not only does lack of quality sleep interfere with learning and social functions (left-hemisphere), it does kill brain cells. In order to prevent brain cell loss from lack of sleep, it is recommended to get good quality sleep. Some people run effectively on just 6 hours of sleep, while some need 9 to keep a clear head. You be the judge of what works best for your body and brain! 39) Using heroin – As you probably expected, using heroin will kill your brain cells. Heroin has been linked to Alzheimer-like brain damage. Opiate use has been associated with sped up aging in the brain. Heroin causes nerve-cell damage in essential parts of the brain. Don’t let a drug like Heroin ruin your brain and your life! 40) Paint remover — When you put paint remover on paint, it eats it away. When you inhale paint remover, it eats away at your brain! Paint remover, when sniffed, crosses the blood-brain barrier and eats away at your brain tissue and cells. Make the decision to help others that have a problem with “sniffing” or “huffing” paint remover by getting them psychological assistance and being around for support. 41) Welding fumes — Exposure to welding fumes is an extreme health hazard. Welding rod fumes have been linked to Parkinson’s disease and many other illnesses. Most fumes from welding are produced during “arc-welding.” The fumes enter and damage your lungs, nervous system, and deplete brain cells. If you are a welder, you may want to check out this informational guide from the American Society of Safety Engineers. 42) Outdoor air pollution – Like indoor air pollution, outdoor air pollution can have terrible side-effects. Places like Mexico City have so much air pollution that many citizens chose to wear masks and filters to protect themselves. Depending on the type and severity of the air pollution, you can potentially lose a lot of brain tissue. Chemical gases build up quickly and mix with each other, those gases get trapped in the environment, people inhale the gases, and brain damage / cell loss is a result. 43) Microwaving “popcorn” — It doesn’t really matter what you are microwaving, if you stand close enough to the microwave or have a “microwave” leakage, you are killing your brain cells. By just standing close to a microwave that is fully sealed while operating, you do risk losing some brain cells — but not nearly as many as if there were a microwave leakage. It is important to always check up on your microwave and to repair any possible leaks. It is recommended to always stand a minimum of 2 feet away from microwaves while they are cooking. 44) Having narcolepsy – Having narcolepsy — a disorder characterized by excessive daytime sleepiness and uncontrollably falling asleep at random times. Research has shown that having narcolepsy kills “hypocretin” brain cells which are located in the hippocampus. Individuals without narcolepsy have around 70,000 hypocretin brain cells, while narcoleptics have have between 3,000 to 10,000 (a significantly lower amount). Luckily new advances and treatments are constantly being developed to help with narcolepsy! 45) Formaldehyde — Formaldehyde can be found in forest fires, automobile exhaust, and tobacco smoke. Formaldehyde can deplete brain cells and decreases cell counts within the brain. Formaldehyde exposure can cause burning of the eyes and nose, coughing, difficulty breathing, and could possibly cause leukemia. For great physical and mental health, formaldehyde exposure should be avoided. 46) Radiation treatment — It is not surprising that radiation treatment damages brain cells. After all, radiation treatment works to damage the DNA of cancerous cells. Some other cells happen to get hit with the radiation intended to take out the cancer cells, and healthy brain cells die. Most medically accepted treatments of cancer involve the killing of both healthy and unhealthy brain cells. 47) Taking the chemical MPTP — MPTP is a neurotoxin that causes permanent symptoms of Parkinson’s disease by killing neurons in the substantia nigra area of the brain. It’s scary that there’s an illicit drug like this… Hopefully you never even hear about MPTP other than on the internet. 48) Laughing gas a.K.a. nitrous oxide — When nitrous oxide is used in a controlled setting like the dentist’s office, it is fine and will not cause brain damage — the amount of the substance is carefully monitored. It is when nitrous oxide is illicitly used and abused that results in brain damage and cell loss. No need to freak out the next time the dentist uses this stuff. Don’t use this stuff in a non-medical setting and you’ll be fine. 49) Using ketamine – The use of ketamine, a common type of anesthesia, prevents brain cells from picking up “glutamate” — a protein which is essential for cell communication and survival. Like nitrous oxide, ketamine use should be limited to medical professionals. Using the proper amount of ketamine probably won’t do much damage. 50) Taking PCP – Most commonly referred to as “angel dust,” the drug PCP (Phencyclidine) can cause memory problems, inability to control thoughts, and compulsive action. PCP has been correlated with frontal-lobe brain damage and like most drugs, aids in the process of brain cell death. PCP is dangerous, triggers dangerous behavior, and should be avoided to keep a healthy brain.